Have you ever heard the phrase, “my little chou-chou”? 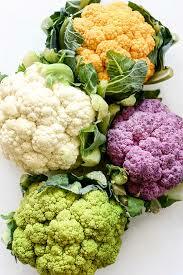 It’s a French term of endearment meaning “my little cauliflower” – how cute is that! 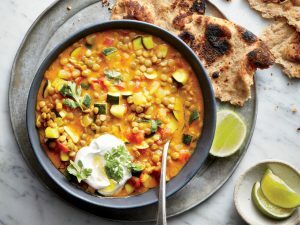 Cauliflower hasn’t always had a beloved reputation, but these past couple of years it’s become the IT veggie – and that’s just fine by me! Cauliflower is rich with anti-inflammatory nutrients and vitamin K. It’s also an excellent source of Vitamin C and very low in calories. Gotta love that! Traditionally white in color – you might be surprised to know that it can be found in brilliant lime green, orange, and purple too! And it’s so versatile – it can be boiled, steamed, roasted, pickled, or simply eaten raw. And these days you can get it “riced” at the store – which is d’lish to turn into carb-free fried rice. There’s even cauliflower pizza crust variations too – yum! Instead of mashed potatoes as a side dish – whip up some cauliflower instead! For an even more exciting twist, try my recipe for Cauliflower Cheddar Custards. So grab some cauliflower and see for yourself – eating healthy really can be delicious! Some people don’t realize that California citrus is in season during the winter – which means zesty grapefruit is at its peak right now! The mighty grapefruit first came to us in the 18th century as a cross between a pomelo and an orange. They are rich in vitamin C and packed with fiber. 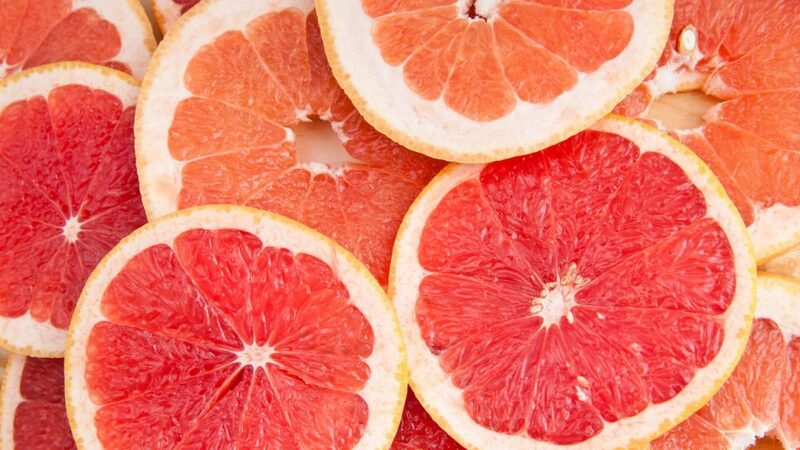 Grapefruits can also be your best friend if you’re looking to shed a few pounds. Switch up your salad routine by throwing in some grapefruit, avocado, and a little red onions with some arugula – then whip up a dressing with grapefruit juice, honey, ginger and olive oil…yum! Or how about topping your favorite fish or grilled shrimp with grapefruit segments tossed in olive oil, seasoning and chopped fresh herbs. The citrusy punch is the perfect complement to any seafood. Are you a chicken piccata fan? Replace the traditional lemon with grapefruits instead – my recipe for Chicken Piccata with Grapefruit, Pine Nuts, and Capers is so d’lish! Grapefruits are amazing in drinks too! For a refreshing, anytime sipper try my Pink Grapefruit Honey Ginger Fizz – packed with flavor and fizzy goodness. So grab a zesty grapefruit and get creative in the kitchen! Transfer chicken to a warm platter and spoon sauce over each breast, then sprinkle with the pine nuts. Serve with grapefruit wedges for squeezing over chicken. Serve immediately. For an added ginger kick, try substituting ginger beer for the soda water in this refreshing drink. To make it libatious, add a shot of your favorite spirit! Fill a tall glass with ice. Measure in the Grapefruit juice, Honey Ginger Syrup and soda water. Stir to combine and garnish. Combine ingredients in small saucepan. On medium-high heat, bring liquid to a boil while stirring to combine well. Immediately reduce heat to low, and simmer for 1 minute. Remove from heat and cool. Store refrigerated for up to two weeks.